Commodore (retired) Hans Helseth of the Royal Norwegian Navy has been Senior Mentor at our Higher Command Studies Course (HCSC) for the last two years. In a discussion with a Latvian student of the current HCSC, Colonel Ilmārs Lejiņš, Commodore Helseth mentioned that his grandfather had received a Latvian medal for saving a ship’s crew, sometime before the Second World War. This led to a road of many discoveries for both our Latvian colleagues and for Commodore Helseth himself. It turned out that his grandfather had received the Order of the Three Stars from the President of Latvia and that a dramatic rescue action had taken place, none of which anyone knew much about. To find out what exactly happened and why the Senior Mentor’s grandfather received the highest state award in Latvia, I invited Commodore Helseth to share his memories and knowledge. 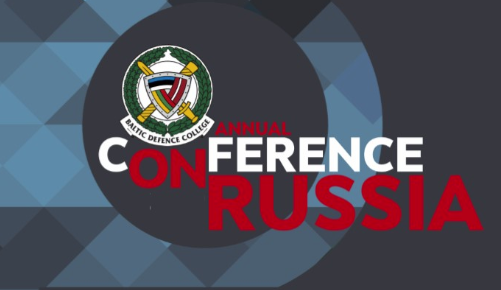 On 24th and 25th of April 2019, the Baltic Defence College (BALTDEFCOL) hosted Major General Genadi Tavaratsyan, Commandant of the National Defence Research University of Defence Ministry of Armenia. The aim of the visit was to share experiences related to Professional Military Education (PME) at operational and strategic levels. On 17th of April 2019, the Baltic Defence College (BALTDEFCOL) hosted a delegation of staff and students from the United States Army War College’s Advanced Regional Studies Programme. 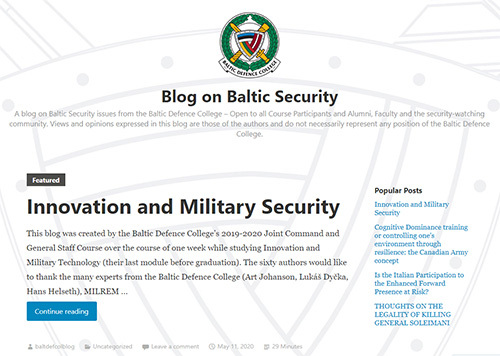 On the 16th of April 2019, Lieutenant Colonel Michael F. Alexander, Commander of the 3rd Regional Security Assistance Command, which is responsible for the European and African areas of responsibility under the U.S. Army Security Assistance Training Management Organization (USA-SATMO) visited the Baltic Defense College (BALTDEFCOL). The aim of the visit was to gain a better understanding of BALTDEFCOL’s structure, mission, capabilities and future initiatives. On 11th of April 2019, H.E. Mr Timo Kantola, Ambassador of Finland to Estonia, paid a visit to the Baltic Defence College (BALTDEFCOL). The aim of the visit was to meet the College leadership and exchange information. On 5th of April 2019, we hosted H.E. Mr. Kevin Rex, Ambassador of Canada to Latvia, Estonia and Lithuania at the Baltic Defence College (BALTDEFCOL).